Google Maps Street View Found E.T. 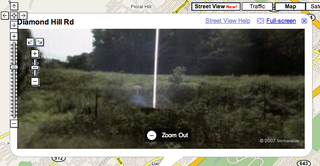 In the biggest twist of the year, including last year, it seems that the new Google Maps Street View found E.T. and an accompanying laser beam.